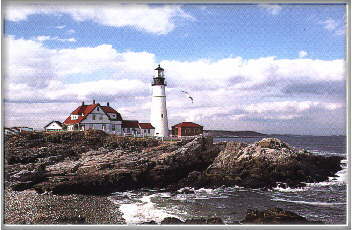 Introduction: The State of Maine is rich in history, culture, commerce, tourism, and recreational opportunities. Thousands of families vacation here each year to take advantage of the many sites and activities that our state has to offer. On any given day in our state, cars with license plates from all over the United States and Canada can be seen driving around. From southern to northern Maine tourist find picture perfect scenery. From the beautful ocean to the mountains tops, Maine has something for everyone. Tourists ask often for advise on what to see while in Maine. Task: The Chamber of Commerce would like you to help them out with their latest tourism brochure. They are aware of the cool places of interest in our state, but they would love to have your help to encourage the tourists to see all that Maine has to offer. What are some of the interesting facts you know about Maine. What are the things you like the best? What are some of its landmarks? What would you like kids from other areas to know about Maine that they might miss out on? 1. You will download a map of the State of Maine. With a blue crayon, you will color the rivers and ocean. You will draw symbols and label the sites you have targeted for the Chamber of Commerce, the capitol, lighthouses and ten other places of interest of your choice, e.g. Arcadia National Park, Portland Portland Lighthouse, etc. 2. Your poster and brochure will include drawings or photographs of your choice of sights and text describing the place and its location. You will include 7-10 accurate facts about Maine. Process: We will have a guest speaker from the Chamber of Commerce. We will look at maps, brochures, and websites. We will review how to read a map. We will work in groups of four and have discussions on the various landmarks and facts. We will also share our findings as a class so that we might all learn about places that others have been to. We will pick up to ten landmarks or places of interest to publish on our posters and brochures. We will use numerous resources including the library and the internet. 1. Map: You will download your map from the internet. You will be given construction paper to mount your map on. 2. Poster: You will be given a large sheet of paper to begin your poster. You will choose a title for the poster. You will capture some of your pictures from the web and learn to save and print them and create your own using KidPix. 3. 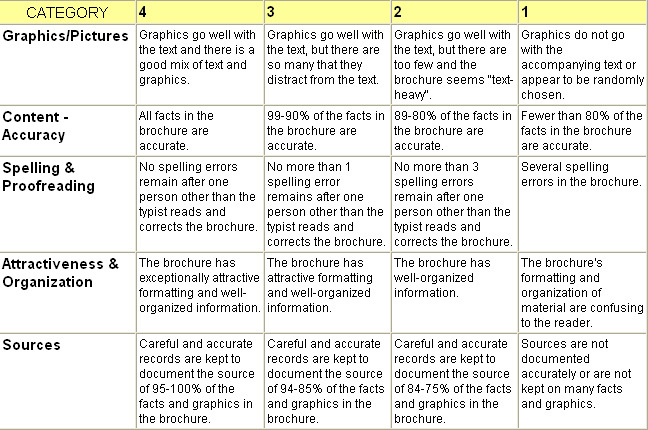 Brochure: You will use Microsoft Word to create your brochure. We will talk about layout using professional brochures as examples. When we are finished, we will print them. You will also save them as webpages and upload them to the school server to display on the internet. Your parents will be given the url to view your work. Facts about Maine for Kids! We hope you're exited about all the wonderful things you have learned about the State of Maine. You have learned how to use a map, you have located places of interest and you have used a new programs on the computer. What would a tourist want to see in Maine? Students could work in pairs on computers. Students should know how to use the Internet and the drawing tools in Microsoft Word. Students should know how to use the brainstorming tool in Inspiration. When students have had all the background information, the webquest should be introduced. Show students the rubrics and keep them handy so that they can be referred to as often as necessary. After discussing the introduction and the task, students can begin the process piece. Using a projector and a computer, show students the map of Maine and point out points of interest, landforms etc. Assist any students who are having troubles using a map. Discuss and teach how to create posters and brochures using good layout design.